As an Executive Vice President, Rob is responsible for co-managing Leggat McCall Properties’ development business, playing a key role in client development and serving on the Investment Committee. Rob has expertise in acquisition, development, and project management with key institutional, corporate, and investor clients across a wide array of project types. Rob brings more than 30 years of experience to the firm. In his career, he has personally developed or managed more than 4 million square feet of projects at an aggregate value/cost of $4 billion. His projects have included build-to-suits, university real estate, corporate relocations, life science facilities, and land transactions. 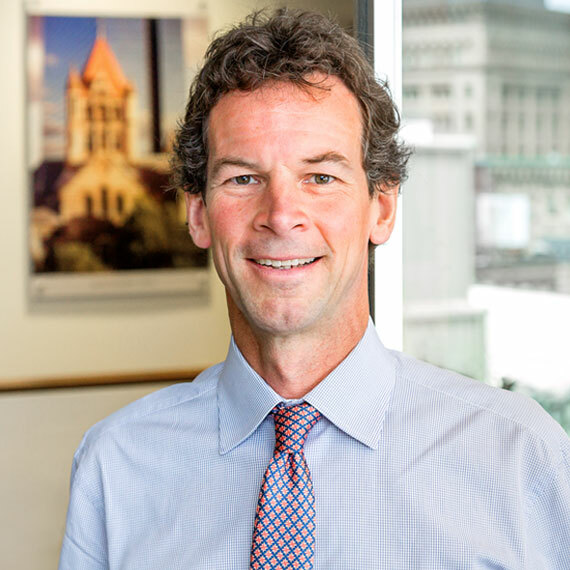 Prior to joining the Leggat McCall team in 2011, Rob was a Managing Director at JLL where he was responsible for the firm’s development activities in New England and directed a group of more than 30 people. He joined Spaulding & Slye in 1994 and was a Partner of the firm when it was acquired by JLL in 2006.